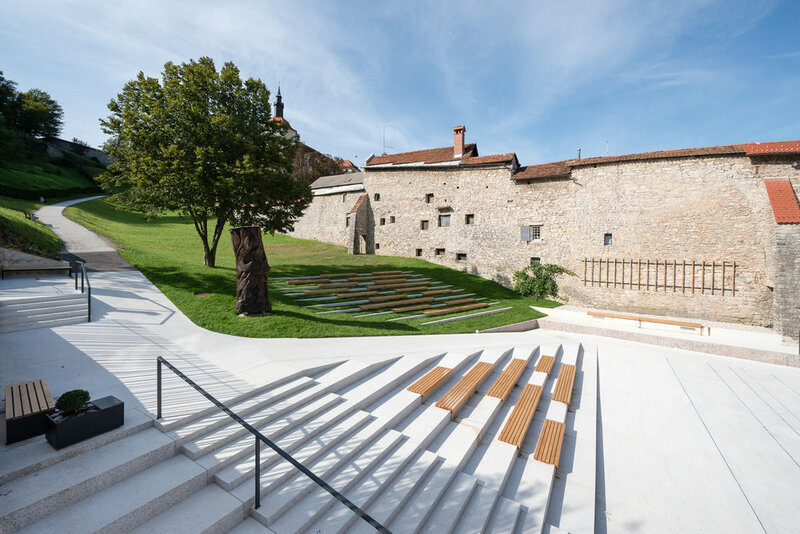 The renewed space of the »Square under the Castle« emphasises and expresses its importance as a starting point into the old town or towards the Škofja Loka Castle. The amphitheatrical staircase creates an appropriate setting for traditional and new events as well as a setting for everyday life of the Škofja Loka residents. The integrated ramp provides accessibility for disabled and parents with prams to the castle and to »Zamorc playground«. The children`s playground is an widely know attraction: educating children about the history of their city while playing and also offering tactile experinces for the Blind and Partially Sighted.